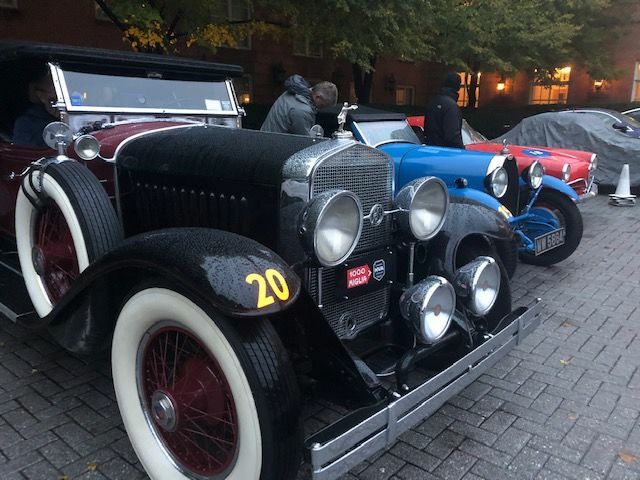 The Mille Miglia is an open-road race through the streets of Italy, but this year organizers are holding an American version — the 1000 Miglia Warm Up USA. CHANTILLY, Va. — The world’s largest historic vehicle driving event hit the road in America for the first time Saturday. The Mille Miglia (Italian for one-thousand miler) is an open-road rally through the streets of Italy, but organizers are holding an American version — the 1000 Miglia Warm Up USA — this year. “It’s like Indianapolis for us,” said Mark Gessler, president of the Gaithersburg, Maryland-based Historic Vehicle Association. The event began in 1927, and has turned into a rally for fans. Today’s inaugural event attracted 16 vehicles and was quite a bit shorter. Drivers began the tour in Chantilly, drove through Middleburg to Point of Rocks, then they headed to Waterford and down to Bethesda. The final stop was at the Italian Ambassador’s D.C. residence. Shaun Till has done the event in Italy seven times. His newest classic car, a 1928 Bugatti Type 40 Grand Sport, was bought specifically for the event. “Its nice to not have to fly over to another country and 6-hour time change for an event we can do right here,” Till said. He said he hopes to participate in the Warm Up again next year. The Italian Mille Miglia will be held through the streets of Italy in May.